So, here's a style crush I know pretty much nothing about--not even her name in English! 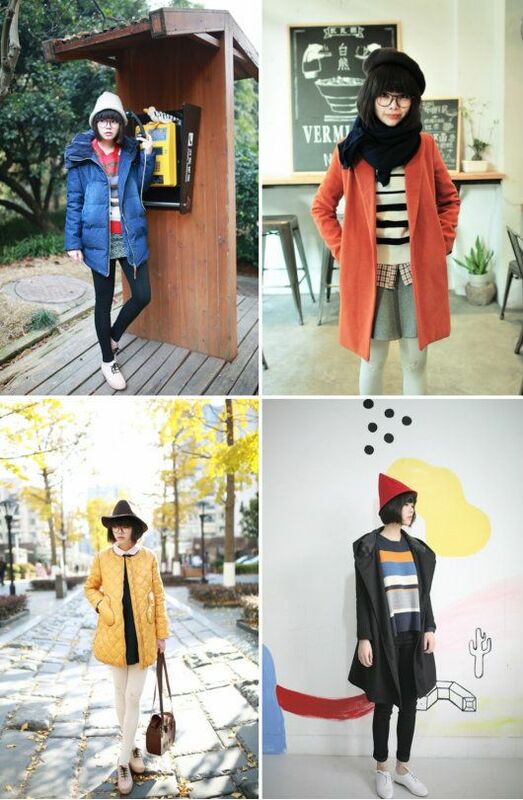 徐一个 uploads pictures to Ibaifang; a Chinese style community similar to Chictopia. I stumbled across the site one day through a reverse image search and have been hooked ever since. So many of the users have dynamic, interesting style that I don't see anywhere else. 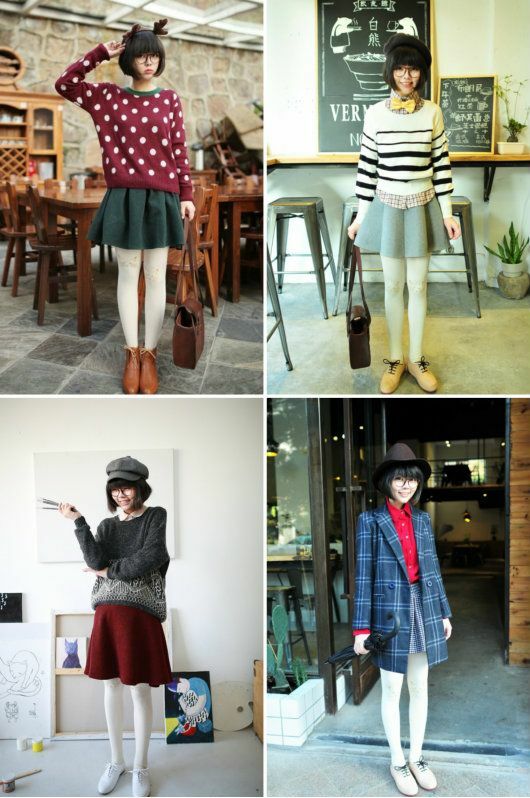 I love 徐一个's ability to mix up her style from cute, layered looks, to retro-inspired menswear, to modern minimalism she rocks them all. This fall I'm taking inspiration from her quirky mix of layers and unique color combinations.